It’s a pretty rare person who has mastered the classical art of calligraphy. 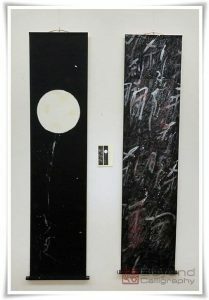 Wu Yong is all the more exceptional because he writes by holding the brush between his teeth. 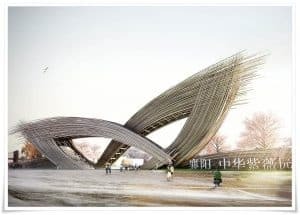 The “blossom-gate “for Xiangyang City, The Sprouting design was inspired by the shape of a flower and by the traditional Chinese Calligraphy. 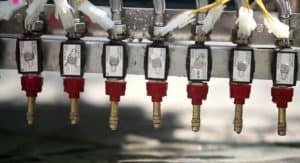 Could a machine write water Calligraphy? 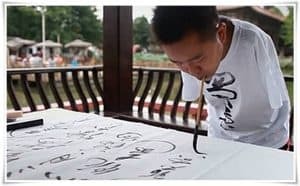 Who would have thought that a person could or would have made a water device to write calligraphy? Can a Computer save Calligraphy? 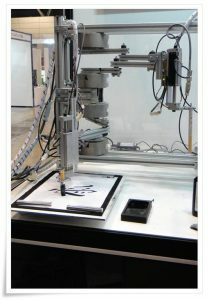 This Motion Copy System can identify and store detailed brush strokes based upon information about brush movements in calligraphy.